Manitoba artist Nyco Rudolph and Alberta writer Alexander Finbow join creative forces to reveal the myth behind how the Benevolent Bears came to rule over us all. 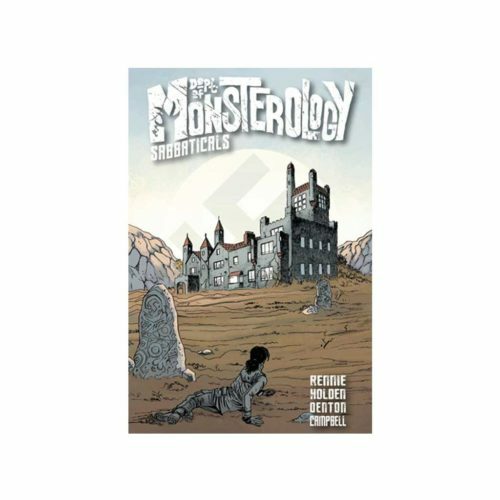 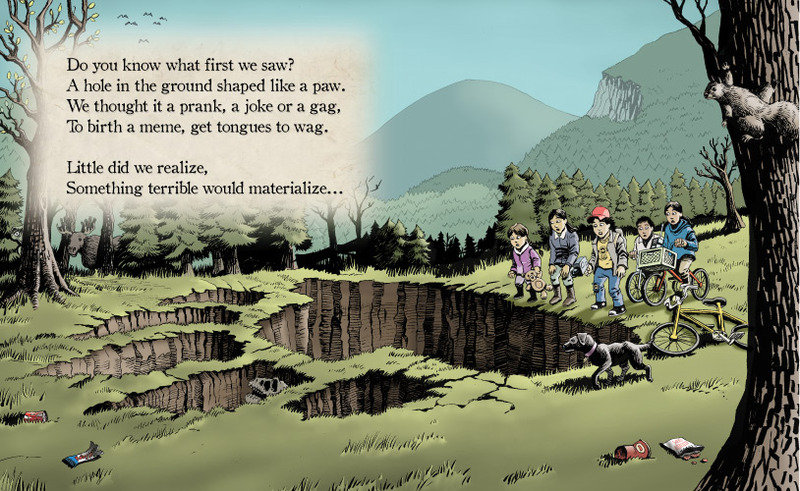 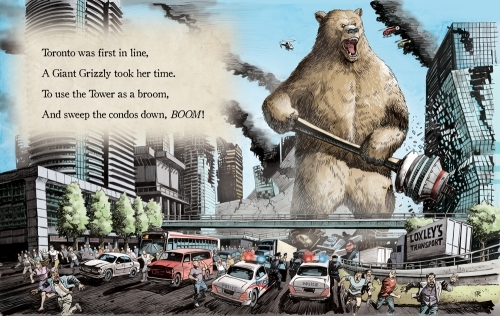 An illustrated children’s book for adults featuring beautiful Godzilla and King Kong inspired paintings of Giant Bears attacking major Canadian cities and landmarks. 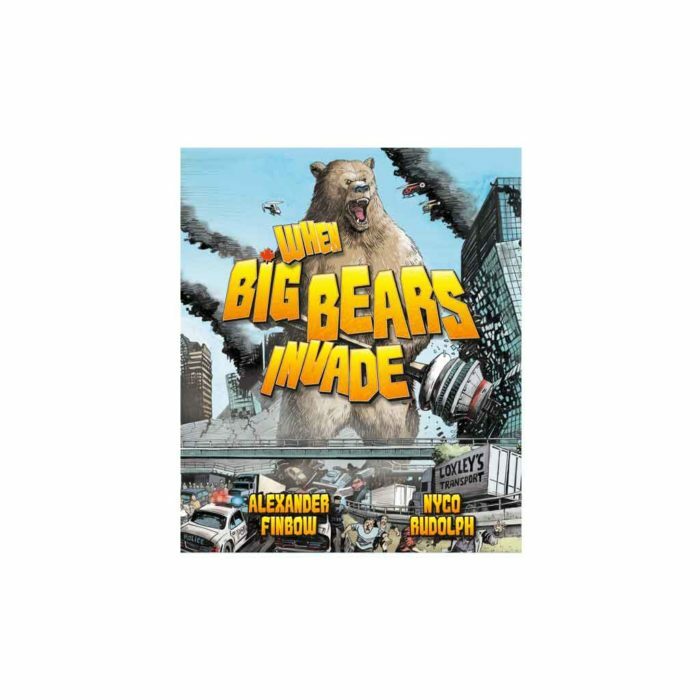 Includes Grizzly Bear Colossuses attacking the CN Tower, Spirit Bears surfing the Tsunami into Vancouver, a huge Bearnado ripping into Winnipeg, giant bear cubs playing jump rope with the Eastern Gateway pipeline, Polar Bear Behemoths dropping a glacier on to the oil sands, and the Giant Bears delivering a very Canadian wall to keep the Americans out. At least that’s what Granny says really happened.